Zugspitz is the highest mountain in Germany…9,718 feet above sea level. On clear days the peak is perfectly reflected in the lake that sits at its base, Lake Ebisee. The cable car from Lake Ebisee to the peak is a wonder. It dangles thousands of feet above jagged rock cliffs while one stands pressed to its door by the 20+ other occupants, praying that the locking mechanism will not chose to malfunction in this moment. But the payoff….rippling snowcapped peaks as far as the eye could see. A short lift ride down to toboggan rentals taught us humility. We spent far too much time walking down the seemingly vertical terrain while skiers passed overhead in chairlifts smiling down at our march of shame. Prior to visiting the much-ado-Neuschwanstein Castle, we hiked up to more modest abodes in Reutte. Four separate castle ruins dot the countryside and at the base, a wonderful interactive museum on life in medieval times. What is a trip to Bavaria without a visit to Neuschwanstein? We joined throngs of tourists in a visit of Ludwig’s first home and father’s castle, Hohenschwangau, followed by a tour of the castle he built over 17 years but only lived in 145 days. Poor Ludwig. A bit eccentric, he was deemed unfit to rule and the next day found drowned in a lake, naked, with his psychologist. Today, he would be a celebrity. The castle is worth seeing….the paintings on the walls transport one to a decadent, indulgent time period. The tours go too quick…30 minutes is done in a flash. Best to reserve online in advance. 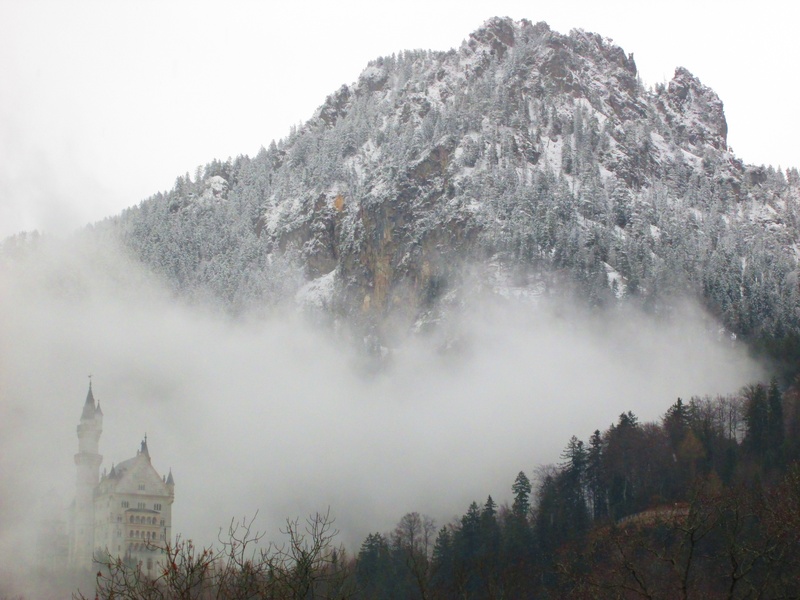 Visit both castles, booking Hohenschwangau first to see hear about Ludwig’s influences as a child, then Neuschwanstein to see where his active imagination led him. 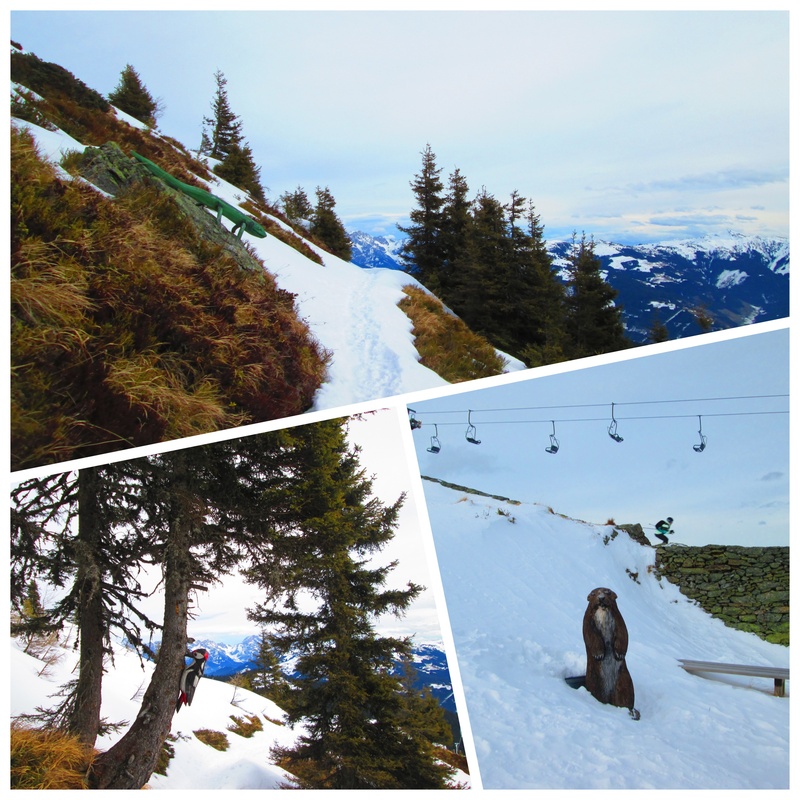 We also spent a week skiing in Zell am See, Austria. Alas, the lack of snow made it an underwhelming alps ski experience but the boys made the best of it…skiing every day until exhaustion. 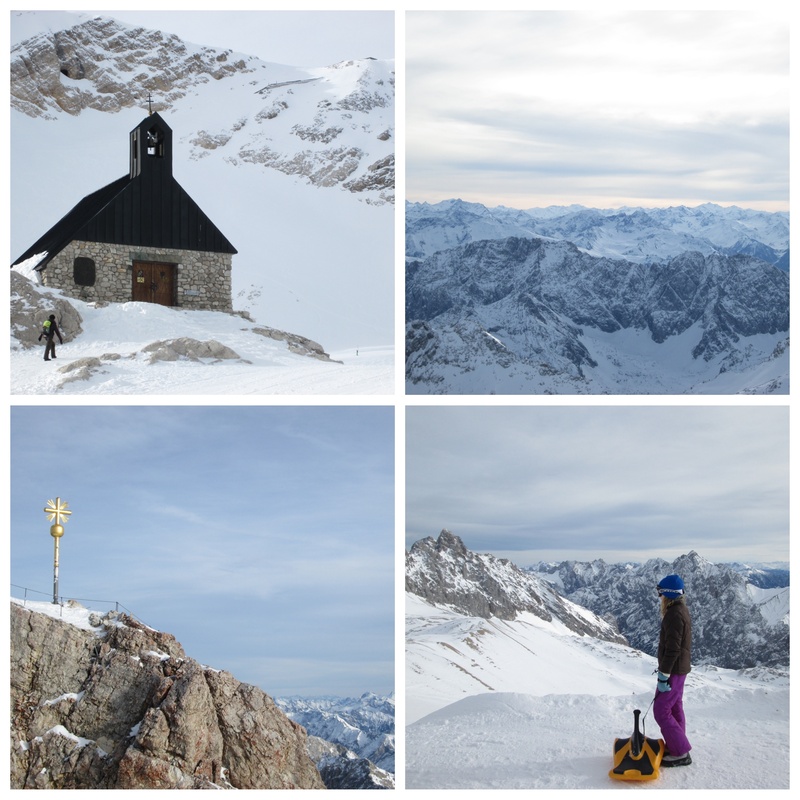 Julia and I skied a little and took in quirky alpine hikes. We left Reutte and Zell am See thirsty for what it would be like in summer…rolling green meadows set amidst steep, slate peaks under endless blue sky. 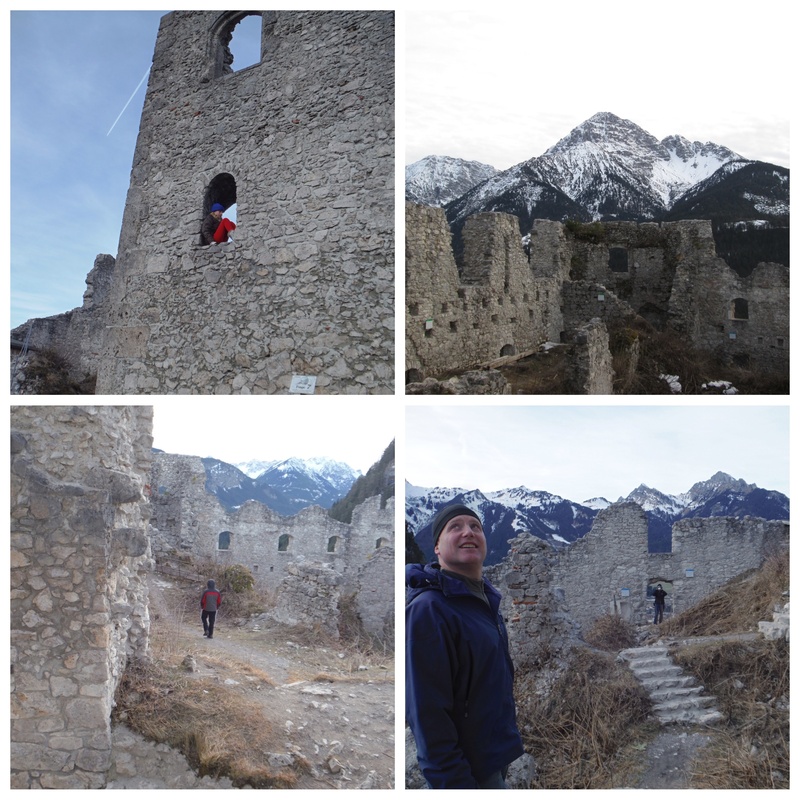 I felt a little Julie Andrews coming on…so we headed to Salzburg. Thank you, Abbie, we are definitely having a blast, albeit there are challenging days too! Can’t believe we’re in wind down mode…only two months left!